Samsung (Korean Smartphone manufacturer) has released Exynos 9610 SoC (System-On-Chip) in its 7 series which is build on 10nm process. Now, the company is planning to launch Galaxy A50 phone powered by the same processor. On other hand, Motorola (American Multinational Company) is going to launch its Moto P40 Smartphone which will have Exynos 9610 processor and 48MP camera in back. As per company explanation, Exynos 9610 can support up to 24MP single rear camera & 16MP + 16MP dual camera and 6GB LPDDR4X RAM. When we talk about Qualcomm Snapdragon 675 processor, it has native support for up to 48MP single camera and LPDDR4X RAM up to 8GB. No doubt, both the branded processor has great variety of features and specification of mobiles. But it will become confusing for normal buyers to understand which processor is better. 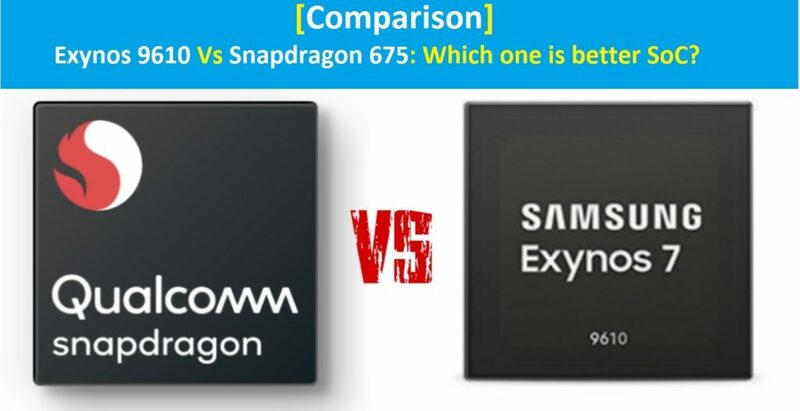 In this article, we are going to discuss about Exynos 9610 Vs Snapdragon 675 comparison on the basis of CPU & GPU, RAM & Storage, Camera, AI and connectivity features. Let’s start the processor battle. 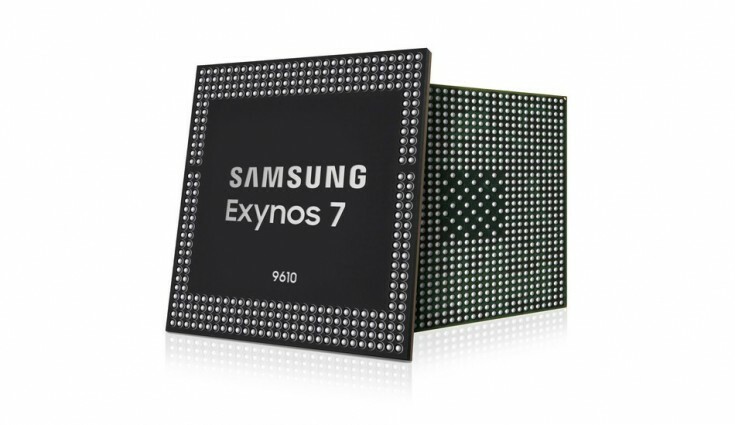 CPU: At first start talking about Samsung Exynos 9610, this processor in 7 series build on 10nm FinFet process. It is Octa-Core 64-bit ARM based processor which is divided into two parts including 4 Cortex A-73 cores clocked at up to 2.3GHz and 4 Cortex A-53 clocked at up to 1.6GHz. On other hand, Qualcomm Snapdragon 675 is Octa-Core 64-bit processor built on 11nm FinFet processor technology. It has 8 kryo 460 cores clocked at 2.0GHz that means there are two Gold cores based on ARM Cortex A-76 cores and 6 silver cores based on ARM Cortex A-55 cores. 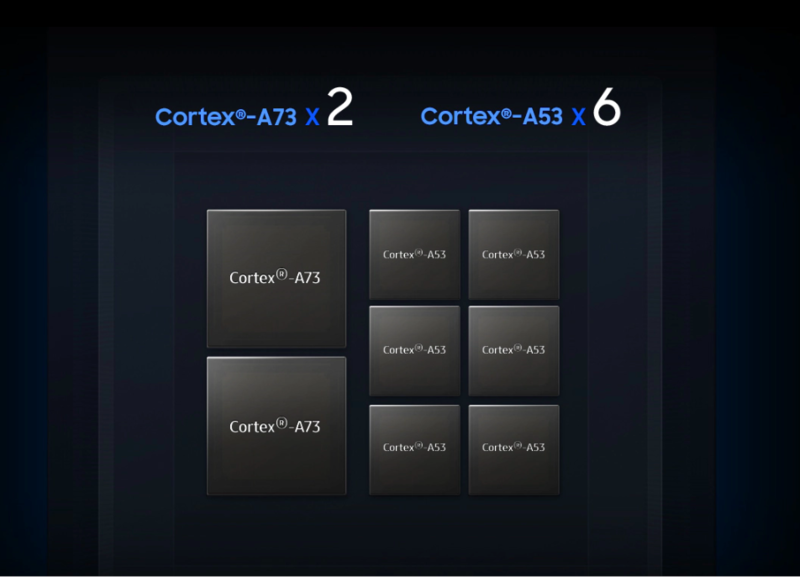 We are seeing that Exynos 9610 has 4 Cortex A-73 cores while Snapdragon has newer 2 Cortex A-76 cores. So, we can say that Exynos 9610 is leading with its clock speed of powerful cores which Snapdragon 675 lacks. So, Snapdragon 675 processor is winner in this case because it has more powerful than Exynos 9610. GPU: One thing is cleared that SD 675 is more powerful processor. Now comes to GPU, Exynos 9610 has Mali G72 MP3 GPU. Since, Helio P60 was released first which has Mali G72 MP3 GPU. On other hand, Snapdragon 675 has Adreno 612 GPU. So, we can easily say that Adreno 612 will beat Mali G72 MP3 with taste of ease. I think Snapdragon 675 will be best choice for heavy gaming and graphics intensive task with your next phones. We are seeing that almost all the chipset maker is launching their chipset with AI Integration and investing hard-earn billion dollars in AI development. When we talk about Samsung Exynos 9601, ISP of Exynos 9610 has vision image processing unit that is based on deep learning. It offers lots of AI related features in taking photos & videos. On other hand, Snapdragon 675 has hexagon 785 DSP. The company has claimed that multiple cores in processor proves the presence of AI power. Apart from that, we expected to see that both SoCs which manages to perform well when Smartphone are launched using both of them. We all have to wait for powerful AI features of both processors and trying to know which one is better on this category. No doubt, camera of phones plays major role to attract or distract the users. All the Smartphone users are always searching for phone with best quality of camera on it. But it is fully defend on processor used on their select phones. If the selected Smartphone has powerful processor with best camera support, then i think it will be enough for you. When we talk about Exynos 9610 SoC, it can support up to 24MP single camera and 16MP + 16MP camera sensor in back. It also support up to 24MP camera in front. According to report, Motorola P40 is launching with 48MP camera setup. But it has more camera configuration than specification of chipset. So, it is interesting to see how Motorola manages to use 48MP camera with Exynos 9610 processor. On other hand, Snapdragon 675 has up to 48MP snapshot, 25MP single camera and 16MP + 16MP dual camera in back. Many Smartphone maker uses Sony IMX586 sensor for 48MP camera support with Snapdragon 675 SoCs. So from the given data, we can say that Exynos 9610 is winner in this case. RAM & Storage: Exynos 9610 can support up to 6GB LPDDR4X RAM and use UFS2.1/EMMC5 based storage while Snapdragon 675 can support dual channel LPDDR4X RAM up to 8GB and support UFS2.1 based storage. Display: Now comes to display section, Exynos 9610 can fit WQXGA display with 2560 X 1600 resolution. On other hand, Snapdragon 675 processor support taller display up to 20:9 aspect ratios. So, SD 675 is winner on the basis of display support. Start from Exynos 9610, it has dual 4G VoLTE, Wi-Fi 802.11ac, Bluetooth 5.0, FM radio and GPS options. When we talk about LTE modem, both the processor can use LTE Cat 12 with 600Mbps download speed and Cat 13 with 150Mbps upload speed. 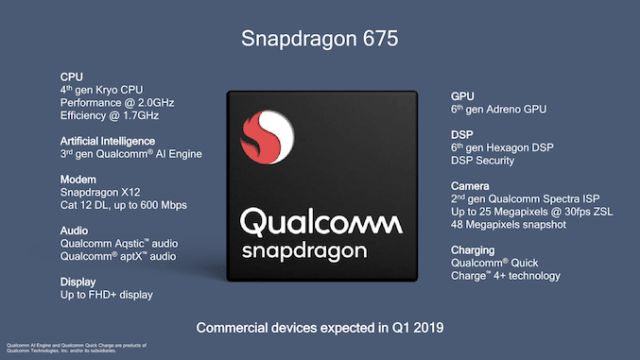 Snapdragon 675 supports dual 4G VoLTE, Tri-brand Wi-F-, Bluetooth 5.0, FM radio options. We are seeing that both chipsets have almost same connectivity options. On comparison Exynos 9610 Vs Snapdragon 675, it is cleared that Exynos 9601 is solid mid-range processor with 10nm process. On other hand, Snapdragon 675 is more powerful than Exynos 9610 because it has Cortex A-76 cores. It has also superior GPU than Exynos 9610. Finally, we can say that Qualcomm’s chipset is winner in most of the cases. What do you think? Which one is best SoC? You can share your thought on the comment box given below.